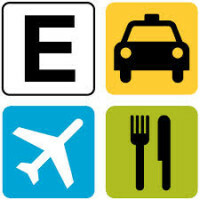 If you need to track expenses or receipts for any reason: work, business, mileage, taxes, etc., check out Expensify, an easy to use and free app that has helped us reduce paper, streamline expense tracking, and increase personal efficiency. The easy-to-use app allows you to take a picture of each receipt, make relevant notes, and run reports. We love it! Any other similar apps that we should know about? Please let us know.